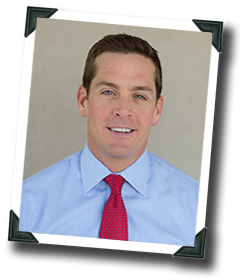 Dr. Brian Kreul, MD is board certified by the American Board of Plastic Surgery. He is also a member of the American Society of Plastic Surgeons and a Fellow of the American College of Surgeons. Dr. Kreul was raised in Phoenix, Arizona and attended the University of Arizona College of Medicine from 1996 to 2000 where he graduated number one in his class. While in medical school, Dr. Kreul was a member of the prestigious Alpha Omega Alpha medical honor society and was awarded the Top Senior Student in Surgery award and the Outstanding Senior award for academic excellence. Following medical school, Dr. Kreul trained in General and Trauma/Vascular surgery for 5 years in Phoenix, Arizona. While training in General Surgery, Dr. Kreul served as Chief Resident and was awarded the Excellence in Teaching award. He became board certified by the American Board of Surgery in 2005. Dr. Kreul then received three years of Aesthetic and Reconstructive Plastic Surgery training at Emory University in Atlanta, Georgia. At Emory, Dr. Kreul trained under world leaders and innovators in the fields of aesthetic and reconstructive surgery where he learned the safest, most current, and proven techniques in plastic surgery. Dr. Kreul's goal is to provide patients with the best and most natural results possible using the safest, and most effective procedures available today. Dr. Kreul and his staff are devoted to you. They seek to exceed your expectations by ensuring that you have a positive experience. Your concerns, needs, and questions are their top priority. They strive to use their compassion, knowledge, and expertise to provide the highest quality personalized patient care.